LA CRESCENTA >> A drug overdose is suspected in the death of a 35-year-old man found unresponsive inside a La Cresenta home on Friday, authorities said. Deputies received a call about 7:05 am. reporting a man not breathing in the 3000 block of Alabama Street, Deputy Lisa Jansen of the Los Angeles County Sheriff’s Department’s Information Bureau said in a written statement. “When deputies arrived at the location, they found a male white adult, 35 years-old, who appeared to be suffering from an apparent overdose of an illicit narcotic substance,” she said. Deputies performed CPR on the man and administered Narcan anti-overdose spray before paramedics arrived on scene and took over treatment, according to Jansen. But the man could not be saved, and paramedics pronounced him dead at the scene. No foul play was initially suspected. An autopsy is to be conducted by the Los Angeles County Department of Medical Examiner-Coroner. In an effort to curb overdose-related deaths, the sheriff’s department began distributing Narcan nasal spray to deputies in June. The drug is intended to counteract the potentially deadly effects of opioid overdose. Under the pilot program, more than 1,200 doses of the drug are being carried by deputies assigned to the Crescenta Valle, East Los Angeles and Santa Clarita Valley stations, as well as the Community Colleges and Parks bureaus. Several other area law enforcement agencies have also equipped officers with Narcan. 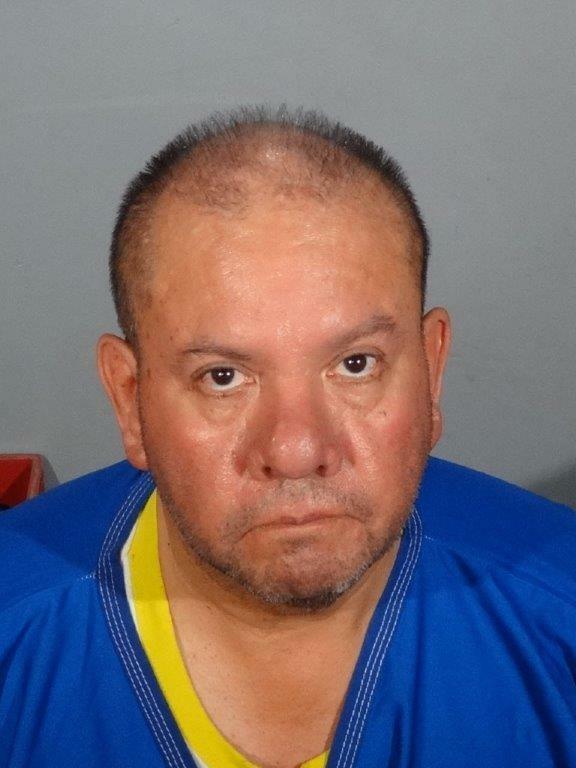 A Whittier man accused of stealing a pharmacist’s identity and working as an unlicensed pharmacist in the Los Angeles area for more than a decade, for the second time, appeared in court on Thursday. Benito Plascencia, 58, faces six felony charges and one misdemeanor charge in the case, California Department of Consumer Affairs spokeswoman Joyia Emard said in a written statement. He pleaded not guilty to the charges at an Aug. 7 arraignment in the Van Nuys branch of Los Angeles County Superior Court, Los Angeles County District Attorney’s Office spokeswoman Sarah Ardalani said in an email. During an appearance in court on Thursday, a preliminary hearing in the case was set for Sept. 7, she said. Plascencia had previously been busted in 2007 for a similar scheme, authorities said. “Plascencia was alleged to have impersonated three doctors and was also alleged to have impersonated the same licensed pharmacist he is currently charged with impersonating,” according to Emard. He pleaded “no contest” to a single count of identity theft and was sentenced to jail time, as well as ordered to pay restitution, DCA officials said. “He was also ordered not to be involved in any manner with the selling of prescribed medications in a pharmaceutical-like business or other business involving prescribed medicines,” Emard said. But Plascencia allegedly did not heed the warning and continued impersonating the pharmacist to get jobs and prescribe drugs he was not licensed to distribute. “To gain employment, Plascencia used a falsified driver license, pharmacist license and social security card that were issued in the name of the licensed pharmacist,” Emard added. After an investigation concluded Plascencia was up to his old tricks, the DCA’s Chatword Field Office Investigation and Enforcement Unit issued a warrant for his arrest in May, officials said. U.S. Department of Homeland Security agents arrested Plascencia on July 31 as he was crossing from Mexico into California at the San Ysidro Port of Entry. He’s been charged with felony counts of false personation, identity theft, counterfeiting a seal, theft of identifying information with a prior conviction for identity theft and two counts of forgery related to identity theft, as well as a misdemeanor charge of false representation as a pharmacist. Plascencia held a pharmacy technician license since 1994, but it was revoked following his 2007 conviction, according to DCA officials. He has never applied for or received a pharmacist license. DCA officials declined to say which Los Angeles-area pharmacies Plascencia worked at, “because they are victims in this case,” Emard said in an email. According to county booking records, Plascencia was being held on $70,000 bail at the North County Correction Facility in Castaic pending trial. Investigators suspect there may be additional victims of Plascencia’s alleged fraud who have yet to be identified. Anyone with information, or who may have employed Plascencia, is asked to contact DCA Investigator Scott Vredenburg at the DCA’s Chatsworth Office at 818-885-2000. WEST COVINA >> Detectives arrested two men and dismantled a large-scale drug distribution ring operating out of a home in an affluent West Covina neighborhood on Wednesday afternoon, authorities said. An ongoing narcotics investigation led investigators to show with a search warrant about 5 p.m. at the home in the 2700 block of South Citrus Street, in the South Hills neighborhood, West Covina police Lt. Dennis Patton said. There, officers discovered 120 pounds of methamphetamine, 17.6 pounds of cocaine and 110 pounds of marijuana, he said. The massive amount of drugs seized at the “very sophisticated drug operation” required a truck to transport, the according to the lieutenant. Packaging materials and other evidence of a large-scale drug sales operation were also found at the home, officials said. Two men were arrested at the home without a struggle, police said. Ceasar Eduardo Santiesteban, 24, of Los Angeles and Erik Alejandro Martinez, 41, of Fresno, were booked on suspicion of possession of drugs for sales, according to police and Los Angeles County booking records. They were being held in lieu of $2 million bail each pending their initial court appearances. 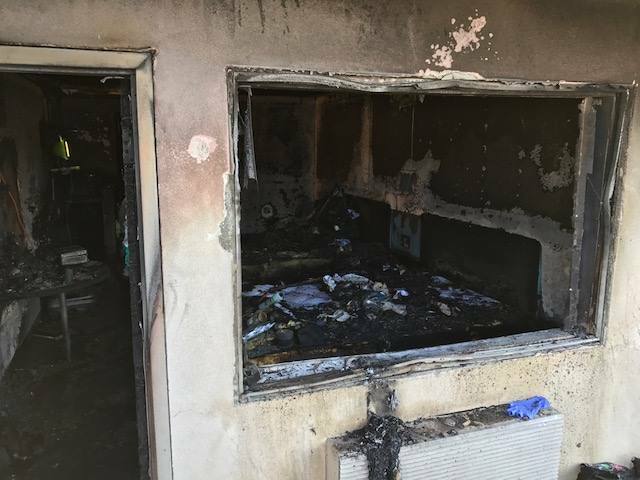 SOUTH EL MONTE >> Two men and a dog suffered burns when a fire broke out at a hash oil extraction lab operating out of a South El Monte motel early Sunday, authorities said. A third, possibly injured suspect was believed to be at large. Los Angeles County deputies and firefighters responding to reports of a structure fire about 12:40 a.m. encountered several rooms ablaze at the Motel 6, 1228 Durfee Ave., according to Deputy Lisa Jansen of the sheriff’s Information Bureau. Firefighters quickly extinguished the flames, she said. Two men, as well as a dog, suffered burns in the fire. One of the men suffered major burn injuries, while the second man’s injuries appeared less severe, Sgt. James Long said. An update on their conditions was not available. “Detectives from Arson-Explosives Detail responded and, based on recovered evidence, determined there was a possible ‘honey oil’ marijuana extraction laboratory at the location,” Jansen said in a written statement. Deputies seized equipment associated with the alleged hash oil extraction. Officials took the two suspects to a hospital to receive treatment prior to facing potential criminal charges, officials said. The injured dog was taken to a veterinary hospital in unknown condition. “Investigators believe another suspect, with possible burn injuries, may have left the location prior to their arrival,” Jansen said. Deputies found scorched clothing believed to have been shed by the third suspect before fleeing the scene, Long said. No description of the man was available. Officials estimated that the fire caused $80,000 worth of damage to the motel. Detectives from the Los Angeles Interagency Metropolitan Police Apprehension Crime Task Force’s Clandestine Laboratory Team responded to the scene and is spearheading the investigation. Anyone with information is urged to contact LA IMPACT at 323-869-6874. Tips may also be submitted anonymously to L.A. Regional Crime Stoppers at 800-222-8477. SOUTH SAN GABRIEL >> Deputies arrested a man and seized two pounds of methamphetamine and heroin while carrying out a search warrant Wednesday morning in South San Gabriel, officials said. The bust took place during the early-morning hours in a residential neighborhood in the 7800 block of La Merced Road in the unincorporated county area just outside of Rosemead, Los Angeles County sheriff’s officials said. Deputies from the Rosemead Special Assignment Team seized about two pounds of methamphetamine, as well as a significant amount of heroin, Capt. David Flores said. The suspect is accused of possession of both substances for sales. The man was arrested without a struggle, Flores said. Detectives withheld his identity Wednesday afternoon as they continued following investigative leads. Anyone with information can reach the sheriff’s Temple Station at 626-285-7171. Tips may also be submitted anonymously to L.A. Regional Crime Stoppers at 800-222-8477. 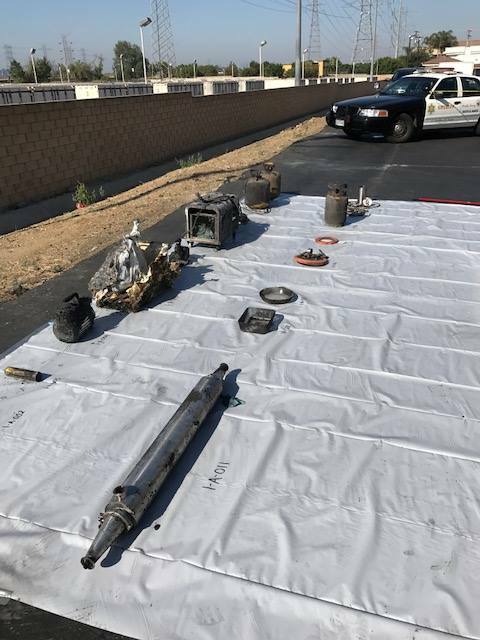 SAN MARINO >> What began as an ordinary traffic stop in San Marino on Wednesday led police to arrest an ex-felon on suspicion of burglary-, drug- and weapons-related offenses and recover property believed to have been stolen from homes in San Marino and Long Beach. Thomas Gordon Dandurand, 37, of Riverside, was booked on suspicion of receiving stolen property, possession of burglary tools, possession of methamphetamine, possession of drug paraphernalia, being a convicted felon in possession of a stun gun and possession of an imitation firearm, according to San Marino police Sgt. Robert Cervantes. Officers pulled a car for traffic violations about 1:14 a.m. at San Marino Avenue and Lorain Road, the sergeant said in a written statement. According to Los Angeles County booking records, Dandurand was being held in lieu of $20,000 bail pending his initial court appearance. The investigation is ongoing, and anyone with information was asked to contact San Marino police Detective Garcia at 626-300-0726. Tips may also be submitted anonymously to L.A. Regional Crime Stoppers at 800-222-8477. The last of 13 defendants charged in connection with an alleged La Mirada-based credit card skimming and drug trafficking ring has been captured in Orange County, authorities announced Friday. 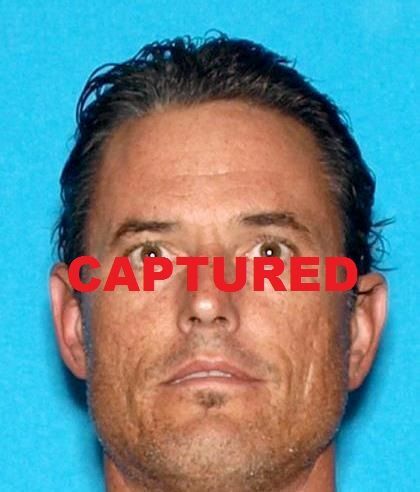 Lloyd Luis Leyh, of Huntington Beach, was apprehended Thursday in Orange, FBI officials announced via Twitter. Details of his arrest were not available. He joined a dozen other suspects already in custody in connection with the federal 27-count indictment announced last month. The suspects — many of which have ties to La Mirada- and Norwalk-area street gangs, such as the La Mirada Punks, the Carmelas and the Nazi Low Riders — are accused of using credit card skimming machines to steal the information from more than 500 credit cards, according to U.S. Department of Justice spokesman Thom Mrozek. Many of the credit card numbers were obtained at a Huntington Beach restaurant. Prosecutors allege the ring then made expensive purchases, then returned to items to stores for cash, netting more than $500,000. Three of the defendants are also accused of methamphetamine trafficking, and one is charged with weapons violations. Federal officials said the investigation has been ongoing for more than two years. 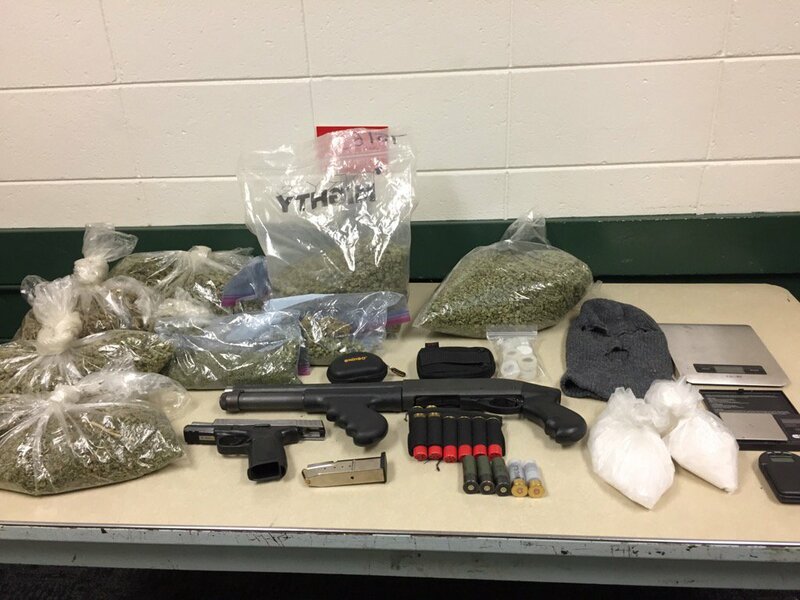 INDUSTRY >> Detectives following up on an Industry attempted burglary investigation arrested two men and seized two pounds of methamphetamine, a large amount of marijuana, cocaine, three guns and stolen property while carrying out a search warrant in West Covina on Tuesday, authorities said. The bust took place in the morning at a home in West Covina, Capt. Tim Murakami of the Los Angeles County sheriff’s Industry Station said. Detectives had obtained a search warrant from the home as part of an investigation into a burglary attempt that took place in Industry about a week earlier, the captain said. Would-be burglars had rammed a rental car into the roll-up door of a business in an unsuccessful attempt to break in. While serving the warrant, investigators found more than they had bargained for. Recovered was a sawed-off shotgun, two stolen handguns, about two pounds of methamphetamine, a large amount of marijuana, cocaine, stolen property and a ski mask, according to Murakami. In addition, deputies seized equipment used to both grow marijuana, as well as process it into concentrated “honey oil,” he said. Two men at the home were arrested on suspicion of multiple felony gun and drug charges, Murakami said. Their identities were not available Wednesday afternoon. DUARTE >> A report of an apparent burglary in progress in Duarte led deputies to arrest three suspects and recover a loaded pistol, as well as about an ounce of heroin, authorities said. The incident began about 12:40 p.m. when man called 911 report two men and a women were at his front door in the 2900 block of Elda Street, jiggling the door handle in an attempt to break in, Los Angeles County sheriff’s Lt. Robert Hahnlein said. “The resident reported that the individuals did not enter his house and left the area in a black Range Rover,” sheriff’s officials said in a written statement. Further information regarding that the woman was wanted for out of state was not available. The woman, along with two male passengers, were expected to be booked on suspicion of attempted burglary and possession of heroin for sales, Hahnlein said. Karine Garabedyan, 32, Rosalio LopezUribe, 27, and Joshua Taft, 33, all of Oregon were expected to be booked on suspicion of attempted burglary and possession of heroin for sales, Hahnlein said. At least one of the suspects was also expected to face charged in connection with the gun. 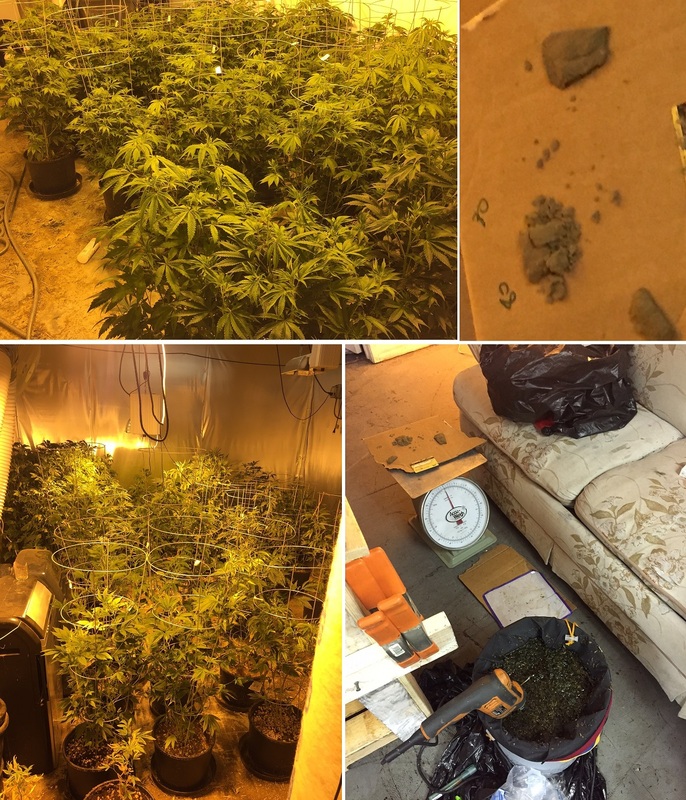 COVINA >> A “strong smell of marijuana” led police to discover a pot grow and hash lab, as well as other drugs, inside a commercial building in Covina on Saturday, officials said. Michael Ray Valdez, 28, of Hacienda Heights was arrested on suspicion of drug manufacturing, identity theft and possession of drug paraphernalia, according to Covina police officials and Los Angeles County booking records. The bust took place about 2:40 a.m. after a patrol officer stopped to talk to two “suspicious persons” hanging out near a commercial building in the 1000 block of East Edna Place, Covina police said in a written statement. “During the investigation, the strong smell of marijuana was noticed coming from inside the building and the subjects admitted that marijuana was being grown inside in the industrial building,” according to the statement. Officer uprooted 120 marijuana plants from the building, as well as marijuana that had already been harvested, authorities said. “Evidence that the marijuana was being processed into hash, hash oil and wax was also found at the location, along with evidence of methamphetamine use and hallucinogenic mushrooms,” the statement said. Police said the owner of the businesses admitted knowing about the marijuana grow, but denied having anything to do with the other drugs. He was not arrested as the investigation continues. According to booking records, Valdez was being held in lieu of $50,000 bail pending his initial court appearance, scheduled Tuesday in the West Covina branch of Los Angeles County Superior Court.